Which of the two data sets shown in the preceding plots has the higher Mean Squared Error (MSE)? The dataset on the left. The dataset on the right. The eight examples on the line incur a total loss of 0. 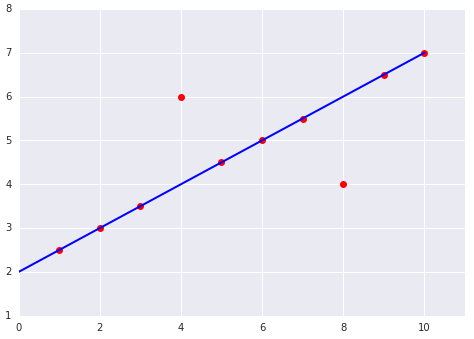 However, although only two points lay off the line, both of those points are twice as far off the line as the outlier points in the left figure. Squared loss amplifies those differences, so an offset of two incurs a loss four times as great as an offset of one.